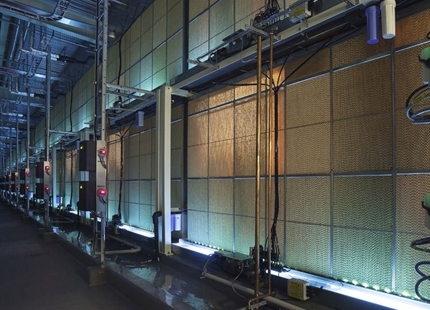 Condair has supplied 35 evaporative humidifiers to Microsoft’s $500 million mega data centre in Dublin, Ireland, to provide up to 8°C of low energy evaporative cooling to its enormous data halls. Microsoft Dublin is the latest generation of data centre that use “free air cooling” rather than mechanical chillers to maintain the low internal temperatures required around its servers. Fresh air is continually brought into the building and mixed with the re-circulating inside air. The majority of the evaporative humidifiers are situated inside the air handling units located on the roof of the data centre. 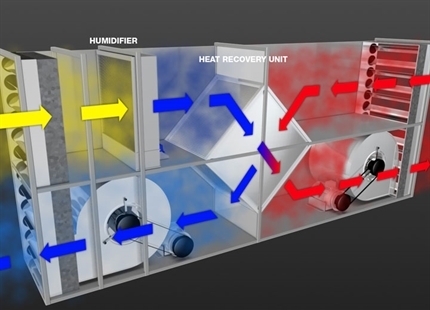 During the summer months, when the outside temperatures are high, the warm incoming fresh air is fed through the humidifiers, which evaporate moisture into the air stream reducing its temperature. 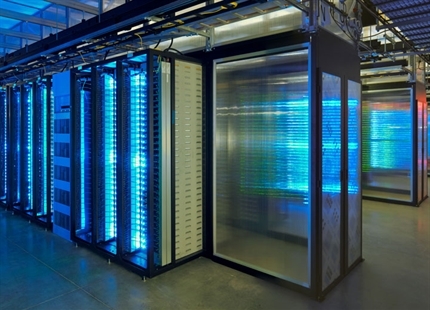 This combined use of fresh air and evaporative cooling has enabled the data centre to eliminate the need for mechanical cooling for 95% of the year. The Microsoft Dublin data centre has officially been recognised by European Commission’s Sustainable Energy Europe Campaign as a “best practice” in environmental sustainability design through its innovative design, which has made it 50% more energy efficient than traditional data centres built three years ago. The 35 evaporative humidifiers installed have the capacity to provide up to 10,930 litres of moisture per hour to the airstream feeding the 303,000 sq ft facility. The evaporating water produces an adiabatic cooling effect on the air, reducing its temperature by up to 8oC. The system was designed to reduce the incoming air from a maximum of 26°C in the summer to the room supply temperature of 18°C. 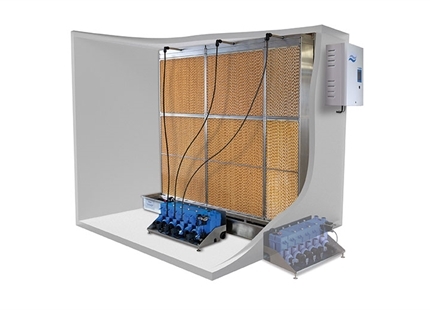 Even at maximum output the total energy required to provide this level of evaporative cooling is just 17kW across all the humidifiers in the facility. The humidifiers were supplied in two phases to the air handling unit manufacturers, with the initial 24 being installed by Johnson Controls and the remaining 11 by RMI Engineering. The main building contractor on the project was John Sisk & Son Ltd with the design being carried out by Integrated Design Consultants and PM Group.